Acrylic painting is one kind of fine art similar with oil on canvas, but dries much faster, all samples supplies in our gallery can be painted as acrylic paintings for sale such as abstract and acrylic landscape paintings. 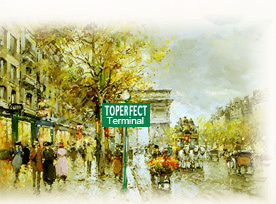 Toperfect, the terminal to your hard journey of searching for acrylic art! Toperfect Art supplies acrylic painting techniques besides oil canvas art for sale, it is useful for painters and art fans. Our online gallery not only supplies reproduction, but also related knowledge. 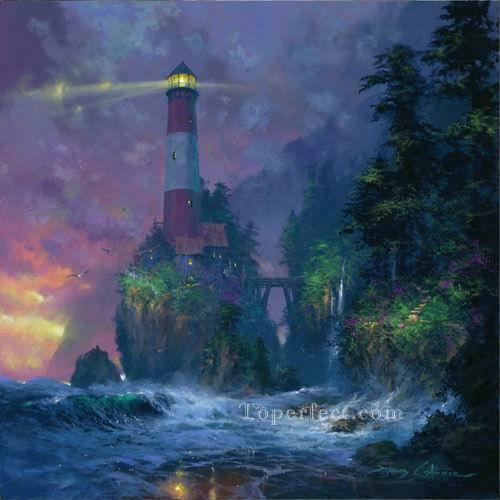 Our painters in manufacturer are good at famous art reproductions and other beautiful acrylic painting wholesale in museum quality such as acrylic landscape, acrylic flowers, modern acrylic artwork, and contemporary acrylic paintings. You are welcome to send us your own pictures to copy as museum quality acrylic painting on canvas. To buy canvas acrylic painting, please check Toperfect Catalogue to select artwork and choose painting type as "Acrylic Painting on Canvas" from the pull-down menu. You're welcome to order portrait and custom painting from photos. Most acrylic oil painting suppliers use cheap even bad materials for painting wholesale business in order to chase cut-throat competition and catch profit. But Toperfect Art is distinctive. For acrylic paintings on canvas in high quality and Museum-Collection by Famous Artists, we use high quality painting materials including FREE linen canvas made of flax and cotton, certified acrylic paints with brands Mary and Winsornewton that in European standard of EN71-3 and American standard of ASTM D, which is guarantee to get elegant artistic results and hundred years to collect carefully. In the 1930s, Mexican painters raised the Mexico Mural Movement and began to seek new painting materials. In 1950s, the pigment acrylic acid came into being. In the mid 1950s, new modern art genres arose successively in American paintings, and abstract acrylic paintings was born. They use various kinds of means to create acrylic canvas techniques such as dropping, throwing, dragging, squeezing, pressing and splashing. J. Pollock’s painting with acrylic on canvas was created by spreading the canvas on the ground and then dropping on it with a big flat brush dipped acrylic pigment, or squeezing acrylic pigment in tubes directly onto the canvas. With their extensively spreading, the American acrylic canvas paintings were valued in the worldwide. Acrylic painting became popular in the world, and then a large amount of acrylic landscape paintings, flowers, landscape acrylic paintings, modern art and contemporary were supplied in many galleries. 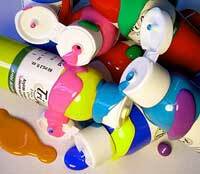 Acrylic paints is made from pigment that has been suspended in an acrylic polymer emulsion, which is a mixture of two substances that cannot be blended together. Acrylic paintings showing on oilpaintingfactory.com did not become commercially available until the 1950s. At this time, it was oil compatible. Acrylic paintings on canvas is a favorite form of paint for many artists because of their ability to dry quickly, unlike oil paints, which can take several weeks to dry. Acrylic paints can also be diluted with water. When acrylic artwork is diluted with water, the resulting of painting acrylic on canvas can look similar to a watercolor painting or an oil painting. In fact, Acrylic paints is sometimes used instead of watercolors because they tend to dry closer to the color that is desired. Usually, this color is slightly darker than it appeared when first applied to painting on canvas with acrylic. Watercolors also be supplied on oilpaintingfactory.com, on the other hand, tend to dry lighter, and the amount of lightening can be unpredictable. This is particularly true for beginning artists who want to create paintings with acrylic. Despite the fact that acrylic can be diluted in water when being used to create an artwork, they are also highly resistant to water once the paintings with acrylic dries. This is advantageous, as it helps protect and preserve the final piece. Acrylic is also used as an alternative to oil paints, because they are much faster to dry on an painting oil acrylic for sale. In fact, oil and acrylic painting usually dries within in an hour, and many dry in less than one minute. The amount of time it takes to dry an acrylic paintings canvas is largely dependent upon the brand and how thickly it is applied. For acrylic painting gallery that wish to lengthen the amount of time it takes to dry, the paints can be mixed with extenders or retarder. These products are available for purchase from most large galleries. Adding these products extends the drying time of paintings acrylic on canvas at oilpaintingfactory.com, making it possible to blend colors more easily with one another while working on an artwork. Those who paint model figures often use extenders or retarders, as do those artists who simply prefer acrylic painting supplies over other paints but need a little more time to complete the artwork. Acrylic paintings is also thought to be more permanent than other types of paint. Oil paints have a tendency to turn yellow as they age and oxidize. Landscape and abstract acrylic paintings, on the other hand, have shown no signs of changing, yellowing, or cracking in the fifty years since they have been invented. Toperfect Art is an experienced manufacturer specializing in manufacturing various styles of acrylic art for sale. Because of the advantages of it, Toperfect manufacturers supplies paintings with acrylic, which is an alternative for oil paintings. The acrylic paintings from Toperfect company can stay the same, without turning yellow as they age and oxidize, which is a great advantage and good for you to preserve. Oil painting may be the most well-known type of art, but acrylic painting is very much a real thing, and highly underrated. Although the debate between which is better will probably never have an end, there are still fundamental differences between the two that might be favorable to an artist. Customers have preferences as well, not only because oil and acrylic paintings have a unique style, but because one may serve as a better fit depending on where it will be hanged. With minor differences in how they are applied and look, the below information will give you a better idea of the small and big differences between the two. And in the end, you may even have a favorite style. The original and considered to still be the best, oil canvas differs from acrylic painting supplies with its drying times. A detailed oil painting can be considered ‘safe’ dry within 24 hours, but for it to fully dry you’re looking at weeks. This is an unknown thing with oil paintings, and is due to the way it oxidizes. Anything can happen while it is drying which is why great care is taken to ensure that there are no accidents during the drying process. There are tricks to make oil paintings dry faster, but it isn’t out of the ordinary for an artist to let it dry naturally. With the great amount of patience required to do oil painting, its slow drying time also allows for less errors during the process. Any touch ups that need to be made can easily be seen long before the point of no return, which although rare, can still be a lifesaver. If however time is of the essence and you want the exact same quality, and if you can’t make paintings with acrylic, then using several different drying mediums are the same options the pros consider. Lead dryers, Cobalt dryers, Turpentine and Alkyd mediums are all perfect options in speeding up the drying process. As mentioned earlier, touchups may be necessary for a spot missed or a new idea that needs to be implemented. The fun thing with oil painting is that the slow drying process allows an artist to simply wipe off the mistake with a cloth, which is great difference with acrylic painting on canvas. Ever notice an artist carrying around a towel that looks like it’s having an identity crisis? That’s from hours of changing what is on the canvas, and not just from wiping their hands clean. It should be noted that cleaning the brushes after oil painting is mandatory, and you need to use a strong solvent to keep the brush fresh. And even though oil painting can extend beyond the canvas, that is where it is the strongest. With acrylic painting the long drying times of oil painting don’t apply, not even in the least. This is because acrylic is a water based paint that evaporates on its own, reaching a point of dryness long before its oil counterpart. Acrylic is so versatile that it is sometimes used with oil painting. Artists will make paintings with acrylic to paint the canvas, focusing only on the background elements. 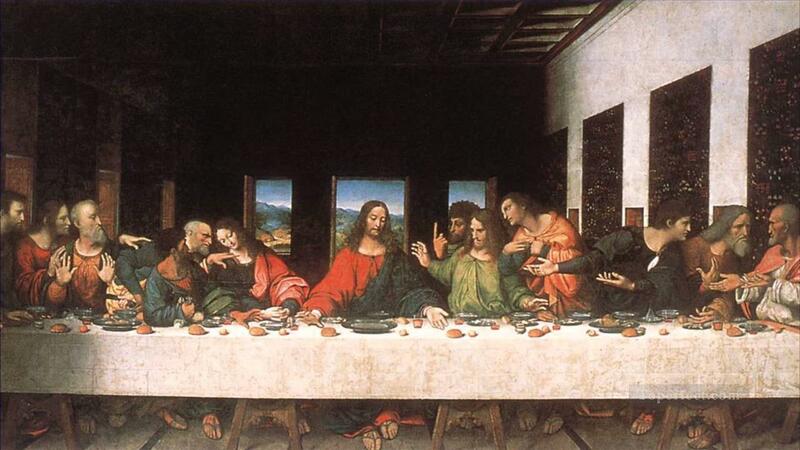 Then with the quick drying properties taking effect, they finish off the canvas with oil based paint. It’s not something that is done a lot, but when it is, the two mix to make a very unique work of art. Oil colors may be richer in appearance, but acrylic paints makes up for it with the ability to be used on multiple surfaces beyond the canvas. Cardboard, fabric, glass, wood panels and many other surfaces are available to be painted and are all surfaces that acrylic excels on above oil painting. And when it comes time to clean your brushes, guess what? It doesn’t require any solvents and can be done naturally with water. The media of acrylic paintings is already thin, so for people with allergies it is a big deal to be able to forego being around the harsh solvents required to get paint off of a brush that was used to oil paint. Is it cool to study acrylic painting? Absolutely! In fact it might be more beneficial for a beginning artist to start out with acrylic over oil based paints due to the drying time. A fast drying paint like acrylic will keep beginning artists from getting frustrated and trying to correct every little detail as they go. 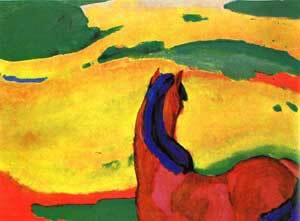 This improves the actual learning of acrylic painting landscape rather than force the student to try to make everything perfect. The ability to move on from one work to another will be a good way to sharpen skills earlier on as they learn about acrylic painting on canvas. And in the off chance you want acrylics to dry slower, consider using a retarder to slow down the process. This isn’t foolproof, and may only give you an extra hour or two. But for some it is just enough to make a worthwhile difference in their masterpiece. Acrylic paintings rivals oil paintings classes when you put them side by side. This means that there are many courses that have a priority on acrylic based painting, more than there have ever been. This includes courses outside of college, like the ones that are offered at art centers or in the library. Color mixing is also something that will be learned best with acrylic painting, and many people studying will come away with a better idea of what pops in a painting. This is due to the unique drying properties. While oil painting lets you experiment with mixing colors, there is an added difficulty when mixing the quick drying acrylic formula that will add a nice challenge for beginning painters. Those are the key differences between oil based artwork and acrylic paintings. For anyone in doubt about studying acrylic painting, remember that it is at its height of popularity in today’s age, and for various reasons. A good imagination can go a long way with the proper tools at hand. Because of that, there has never been a better time to take up acrylic painting and enjoy all of the benefits.